Juliana Lucchesi is a new member to the City of Dunsmuir. 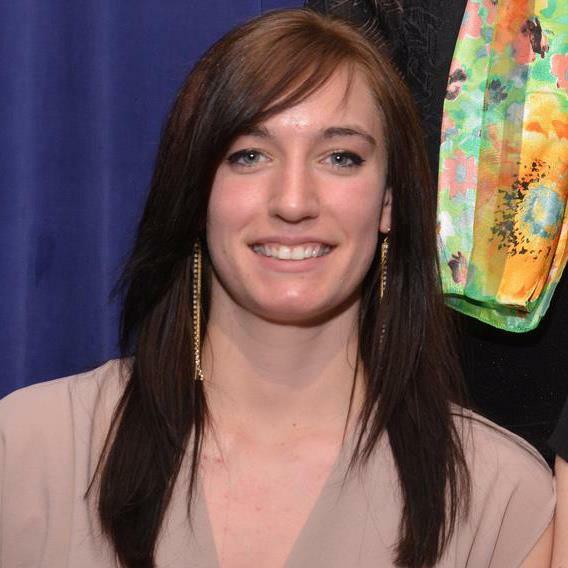 Originally from Wisconsin, Juliana moved to the area to work as the City Planner for the City of Mt. Shasta in June of 2016. She lives in North Dunsmuir with her partner, Michael, two dogs, Benelli and Pickle, and two cats, Chuck and Norris. She enjoys gardening, hiking with her dogs, and home improvement projects. Juliana has a Bachelors of Science in Applied Science from the University of Wisconsin - Stout and Masters in Urban and Regional Planning from the University of Iowa. She hopes to use her experience and knowledge in planning to help the City with infrastructure improvements, promotion of the businesses, and improving the overall sense of community. Matthew was born and raised in South Siskiyou County, attending Golden Eagle Charter School for the entirety of his early education. Upon graduating, he had the honor to represent the City of Dunsmuir as a Rotary Youth Exchange Ambassador in Switzerland for a year. He attained a Bachelor’s Degree from Thomas Aquinas College, studying Philosophy, before returning home, where since 2016 he has been a manager at the Mt. Shasta Ski Park and a California Realtor. His love for this region and town, its natural beauties and its people, was formed in early youth and continues to inspire gratitude to this day. He looks forward to helping people live and excel, here in our own canyon. Peter Arth ran for City Council to help restore Dunsmuir’s community fabric and economic health. In 2008 he joined the Council to tackle difficult issues, including the urgent need to replace aging water and sewer infrastructure the city depends on, and in 2008 was chosen as Mayor and oversaw a process to plan for Dunsmuir’s future. Peter was elected again in 2018 for his deep love for the community and desire to focus on repairing our water and sewer systems. Peter Arth formed Bombs Away, LLC to rehabilitate empty buildings in the Historic District. He was also honored with the Alexander Dunsmuir award in 2015 and the City’s “Golden Spike” award in 2016 for preserving and enhancing Dunsmuir’s Historic District. Peter volunteers at the Community Resource Center, with a particular interest in supporting children and military veterans. Bruce Deutsch has lived in Dunsmuir for seven years. He is a retired U.S. Navy Commander, a pioneer in the field of knowledge management, and a retired high school social studies teacher. He graduated from the University of Notre Dame with a BA in Government. Big Dave is a painter and construction worker in Dunsmuir. He helped organize Dunsmuir's first soap box derby. Dave regularly volunteers his time and energy towards municipal and community projects.